One thing is assured. Yankees fans will not be enjoying any of the hoopla that fans of the San Diego Padres, Chicago White Sox, Boston Red Sox, Chicago Cubs et al have been experiencing this off-season. The Winter of Our Discontent (hat tip to John Steinbeck) continues with the loss of starter Hiroki Kuroda, who has signed a one year deal with the Hiroshima Carp of the Japanese Leagues. 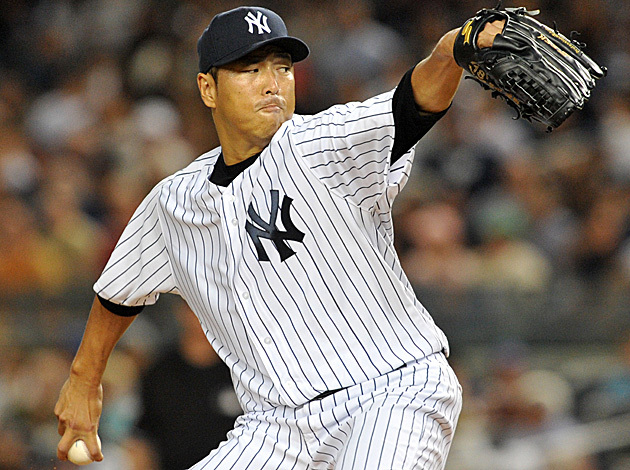 Derek Jeter, David Robertson, Francisco Cervelli, Martin Prado, David Phelps, and now Hiroki Kuroda. The Yankees have lost some great personalities from the 2014 team and it ensures that 2015 will be “different”. It remains to be seen if it will be different-good or different-bad, but will definitely be different. 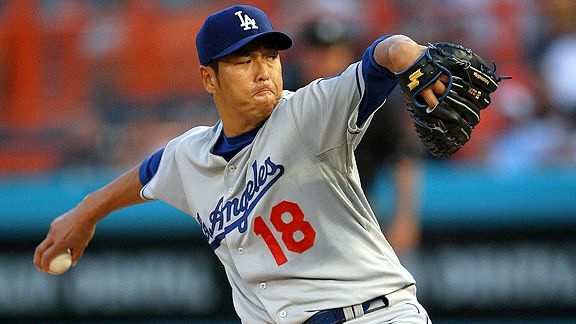 I remember when Hiroki Kuroda arrived in the U.S. in his early 30’s with the Los Angeles Dodgers. I think in my mind I viewed him as nothing more than a #3 starter but I remember watching a Dodgers game a few years (with the legendary Vin Scully announcing…what a treat!). He was masterful that game. I don’t remember the outcome but I do believe it was a Kuroda win and he only gave up a few hits. I was impressed by his performance, but I don’t think I truly appreciated how great he was until he came to New York. I was so wrong. He was more than a #3 starter. He may not have been an ace, but he was the type of #2 starter every team needs. He was a stopper, and he kept his team in games consistently from game to game. After watching A.J. Burnett flame out with essentially the same spot in the rotation with his roller coaster performances, Kuroda gave us stability and an arm that could be counted on. It’s too bad the team was unable to reward him with a World Series championship. Everyone knows the high class and character of Derek Jeter, but Kuroda is every bit the man of honor. I am glad that Kuroda was able to be a part of Masahiro Tanaka’s first year and to help with his transition. In a way, there is a bit of an unknown in what it will be like for Tanaka without fellow countrymen Kuroda and Ichiro Suzuki on the team. This is why it would make tremendous sense to add Hideki Matsui to the coaching staff. I haven’t heard Matsui’s name mentioned as a hitting coach but what about first base? He had one of the greatest clutch bats in recent Yankees history and is well liked by his former teammates and coaches. But back to Kuroda. I read The New York Post headline that blared “Kuroda spurns Yankees, to return to Japan”. I don’t really view this as Kuroda spurning the Yankees. It has been known his desire was to finish his playing career in Japan. The man Kuroda has proven to be is one who would want to put the best possible product on the field in front of his home country. He wouldn’t want his last year to be a pitcher who stayed a year too long. I do not view this as a spurning so much as it was a man trying to do the right thing for his fans and country. As a fan, I know the tremendous respect that he holds for both the New York Yankees and Los Angeles Dodgers organizations. Not many people can play for both and only the Yankees and Dodgers. Masahiro Tanaka wore #18 prior to his arrival in New York. I wonder if he’ll now change his number from 19 to 18 out of respect for his mentor. Tanaka is one of the few guys worthy of wearing Kuroda’s jersey. Here’s hoping that we see Kuroda at future Yankees Old Timer’s Day games. He will be missed and we look forward to his eventual return to stand among the Legends. As Giancarlo Stanton and the Miami Marlins approach the finish line on the potential largest contract in the history of Major League Baseball, I can’t help but wonder how crazy this is. 13 years at $325 million is a lot of money any way you slice it. Granted, Stanton will only be 37 at the end of the deal, but I stand with the many who believe that excessively long contracts are not good for the sport. While guys like Derek Jeter and Mariano Rivera earned their pay through their last games, the tail end of the contracts for Alex Rodriguez, Mark Teixeira and CC Sabathia are looking ghastly. For A-Rod and over $30 mil per year for three more years, the Yankees get a guy who hasn’t played for a year and is being mentioned as a back-up first baseman/DH type. If he manages to hit 20 home runs next season, it will be considered a success but not when you tally the cost of each of those home runs. Stanton is not A-Rod and odds are that Stanton will be playing at a higher level toward the back end of his contract, but there is so much potential for this deal to go drastically wrong. With players now frequently receiving opt out clauses, it’s too bad that the teams do not get an opt out when things go sourly. I would love to see the Yankees use the money slated for A-Rod, Teixeira and Sabathia elsewhere. If the Yankees maintain the status quo this offseason (signing only their own free agents) and do not make any attempt to upgrade the team, we’re faced with another mediocre season and it’s directly the result of the bad contracts. The Yankees lost a great player when Robinson Cano signed his monster deal in Seattle, but even in retrospect, I think the Yankees were smart in not matching Seattle’s offer. Giancarlo Stanton is a great player and the Marlins are better with him than without. But I do not like the precedent that it sets. Odds are that Stanton opts out and gets even more money so good for him. Yet, what protects the Marlins from a bad investment? Or how the bar is elevated for future deals? I am trying wondering if I will see players receiving a percentage of team ownership one day. So far, the Yankees have re-signed Chris Young and acquired lefty reliever Justin Wilson. I think both moves are good for the back of the roster. The Yankees needed to do something with Francisco Cervelli given the catching depth and to get a guy like Wilson was a smart move given the team’s difficulty in finding a replacement for Boone Logan. Young earned a return to the Bronx with his September performance. Hopefully, that’s the player the Yankees are getting for 2015 and not the earlier Mets version. As much as I would like to see the Yankees pursue Jon Lester or Max Scherzer, I’ll be very relieved if and when the Yankees re-sign David Robertson, Chase Headley and Brandon McCarthy. New York is a hard place to play, but all three of these guys have shown they can prosper in the Bronx. Robertson followed a legend with grace and ease, Headley showed brilliant defense at a position we really haven’t seen since Graig Nettles, and McCarthy gave the Yankees a chance to win with almost every start. Dellin Betances had a great first year but we really do not know if he could make the transition to closer. It wasn’t something that Robertson was able to do immediately as he did not enjoy success the year Mariano Rivera was hurt in Kansas City. I believe that A-Rod will look to be the older, injury prone player that he has become, if not worse. The Yankees need to make some inspired trades. It may mean taking a chance on someone who, for whatever reason, has not found his potential, but that’s okay. I’d rather take a chance on a young player with upside than getting locked into a three year deal with an aging outfielder. I was glad to see former Yankee and Pirate A.J. 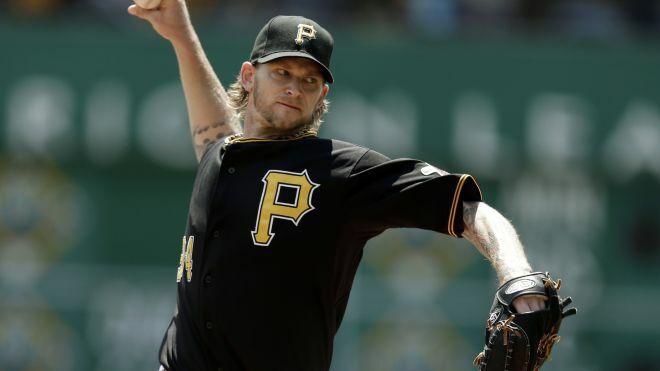 Burnett re-sign with Pittsburgh, foregoing more money from his last year’s team, the Philadelphia Phillies. Burnett was a good fit in Pittsburgh and it was nice to see a player take an offer that extended beyond just money. I remember back at the start of the year when there was about one dominant cycle through the starting rotation of CC Sabathia, Hiroki Kuroda, Ivan Nova, Michael Pineda and Masahiro Tanaka. At the time, I was very optimistic about the team’s chances, particularly if the new acquisitions like Brian McCann and Carlos Beltran hit like they always had. But fast forward to July, the team is playing .500 baseball and as Michael Kay said on a recent YES network broadcast, Hiroki Kuroda is “the last man standing”. One moment, Masahiro Tanaka was the pride of the Yankees…most wins for an AL starter, an All-Star selection, league leader in ERA, front-runner for Rookie of the Year, but then the next moment, after a couple of non-quality starts, it’s learned that he has a slight tear an elbow ligament that will sideline him for six weeks. While it is encouraging that surgery is not recommended at this time, the threat of potential Tommy John surgery is real if the rehab is not successful. With Kuroda standing as the lone original starter, the rest of the spots are starting to feel like last year’s attempts to fill first base with journeymen to replace Mark Teixeira. Of the replacement starters, David Phelps has had the most consistency. Others like Chase Whitley may have had greater success at times but they’ve also had the more horrific starts. The pressure the patchwork rotation has placed on the bullpen has been immense. The trade for Arizona Diamondbacks starter Brandon McCarthy, on the fast track for 20 losses, doesn’t improve the starting rotation but he does give them much needed innings. The only spots in the rotation right now that provide any source of confidence are Kuroda and Phelps. Shane Greene is the latest minor league hopeful. Maybe he will prosper at the major league level, maybe he won’t. It’s a tough situation when there are so many holes in the rotation. The latest acquisition, Jeff Francis from the Oakland A’s, has not been a quality starter since his days in Colorado many years ago. Francis appears earmarked for long relief so it is still anybody’s guess who fills the fifth spot in the rotation. Today is Saturday and I do not know who will start for the Yankees on Sunday. Perhaps Chase Whitley gets plugged in or they recall Bruce Billings, but neither option is overly appealing on a day, the last day before the All-Star break, that should have featured Tanaka. I would have liked to have seen the Yankees acquire Jeff Samardzija from the Chicago Cubs before the Oakland A’s did but it’s obvious the Yankees do not have the upper level prospect and major league ready talent to make that type of deal. I have mixed feelings about whether the Yankees should be buyers or sellers at the trading deadline. If I felt they had a great chance for October success, then I’d be all in for sacrificing some promising talent for a run. But I am not sure there is a move that can be made which would propel the Yankees past the Toronto Blue Jays and/or Baltimore Orioles. Perhaps it would be better for the team to sell and pick up some younger talent for a recharge next year. There are not any available starters in the Yankees’ price range (in terms of trade-able talent, not dollars) which make sense. I keep hearing Cliff Lee’s name mentioned but the stars have never aligned to bring him to New York in the past and he openly spurned the Yankees when he signed with the Philadelphia Phillies. Even if he did finally come to New York, he would not be a long-term solution. Ian Kennedy, a former Yankee, is another name bounced around but his stuff just isn’t tailored for Yankee Stadium. A return of A.J. Burnett? No, thank you. I am starting to get the sense that this will be Brian Cashman’s last year as general manager. Maybe it is time for a change. I’ve been watching the San Diego situation with interest as I am hopeful that Billy Eppler does not become the Padres’ new general manager. For in-house talent to replace Cashman, Eppler is at the top of the list. I would prefer replacing Cashman with someone who knows the inner workings of the Yankees organization and not someone from the outside who would have to go through a transition period. The All-Star break comes at a good time. The.500 Yankees need some time to reassess where they are and regroup. It also wouldn’t hurt to capture some good luck before they embark on the second half of the season. I am not a Cleveland Cavaliers or Miami Heat fan, but I have to say that I was pleased with LeBron James’ decision to return to his home. The way that he rejected Cleveland with “The Decision” in 2010 to sign with the Heat was awful and he deserved the backlash that came with it. But he has shown that he’s a better man today with his words for why he wants to return to his Northern Ohio roots. Of today’s NBA superstars, LeBron has always been one of my favorites and I wish him the best in bringing a championship to the City by the Lake. The Cavs should be a fun team to watch next season, particularly if they can acquire Kevin Love from the Minnesota Timberwolves. Kyrie Irving must think that he won the jackpot with his new contract and the addition of the best player in the NBA. Joel Sherman has a good post today with his Hardball Blog in The New York Post entitled “’What would George do?’ among questions in Yanks’ $189M quest”. I do not dispute the reasons for why the Yankees are financially motivated to get under the $189M threshold given the reduced tax penalties it will create for future years in addition to the savings in 2014. But can the Yankees maintain a championship caliber club in their quest to reconcile the bottom line? Something’s got to give, and I am fearful that it will be the quality of the Yankee clubs put on the field in the next few years. That sounds kind of ridiculous to say when other clubs have proven you can succeed with lesser dollars, but in Tampa, for example, it was years of high draft picks that filled the cupboards with premier players like Evan Longoria and David Price. I see the same thing happening in Kansas City as they’ve been building solid, young talent. The Yankees, on the other hand, have been picking at the bottom end of rounds for years and there have been more than a few misses along the way. There has been a renewed emphasis on the farm system in recent years, however, it is still not within the upper echelon among the other clubs. I checked the cities of Baltimore, Boston, and Tampa against Manhattan on a cost of living calculator and found that the equivalent salaries in New York would need to substantially greater to maintain the same cost of living. 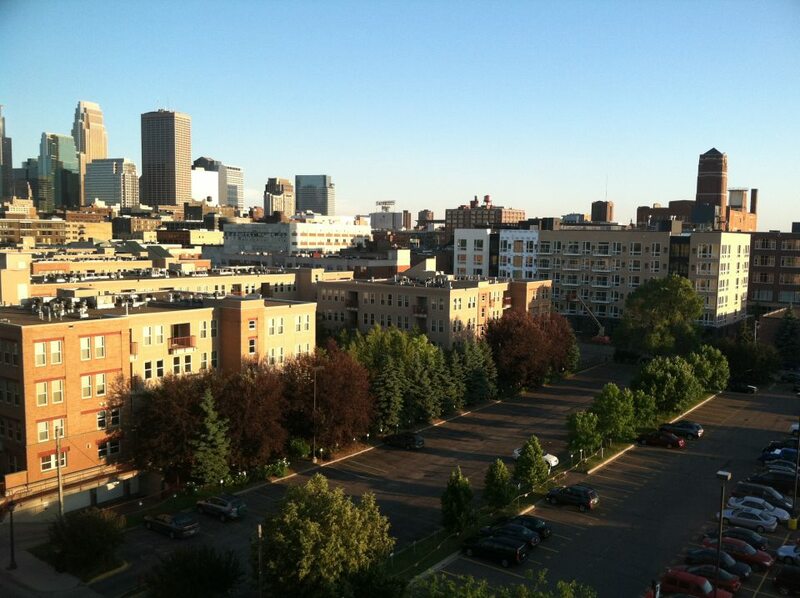 A Boston salary would need to be 63.10% greater, Baltimore 89.70%, and Tampa 145.28%. Okay, not every player will live in Manhattan and that’s probably an extreme, but it still shows on the affordability scale, it simply takes more dollars to live in New York than anywhere else. Other places like Florida and Texas have no state income tax. I am sure that when A.J. Burnett got to Pittsburgh, it wasn’t just the reduced spotlight that helped his successful turnaround, the realization of how much further his millions would go in the Steel City probably factored into the equation. As it stands at the moment, it is very likely the Yankees enter the 2013 season as a weaker team than the one who was swept by the Detroit Tigers last month. I know, a lot can happen between now and then, but for the sake of this post, I have only the insight for where we stand today. I felt that it was essential for the Yankees to re-sign Hiroki Kuroda. As soon as there were indications that Kuroda would consider a one-year deal, the Yankees should have been aggressive in locking him up. But by delaying, the two LA teams are stepping up their pursuit and the area has an advantage given Kuroda’s familiarity and close ties to Southern CA. I believe that his wife and two daughters still reside in California. Losing Kuroda from the rotation will hurt. I am not convinced that David Phelps can match the level of performance that Kuroda achieved this past season. The sooner the Yanks can move Alex Rodriguez to full-time DH will be better. They need a quality, front-line third baseman who can hit in the clutch. Sadly, there are not any high level prospects so free agency or a trade might be the only options. Given the former is probably not where the team intends to put its “limited” dollars, a trade is most likely the only solution. Of course, that will only deplete the Yankees of other young talent. A quick post to congratulate the New York Yankees for winning the American League East Division Championship on the last day of the season. Thanks to the Baltimore Orioles’ loss to the Tampa Bay Rays, the division was a foregone conclusion when the Yankees completed their thrashing of the Boston Red Sox. Still, I am glad that the team won on the day they clinched the division. A loss on “clinching day” always seems so cheap. Although it was disappointing the Yankees let a large lead slip, they definitely went into ‘bend but not break’ mode as they held at least a share of first throughout the O’s challenge in the final month of the season. It was a constant back-and-forth…tied, then Yanks ahead, and then tied again. But in the end, the team persevered. The big surprise to me on the last day of the season was the Texas Rangers’ failure to withstand a large charge by the Oakland A’s. I remember looking at the standings in July and writing it off as a foregone conclusion that the Rangers would be the AL West champions. In my mind, they were still the team to beat in the American League. While I recognized the A’s had the spirited ‘don’t quit’ mentality, I still viewed them as inferior either the Rangers or the Los Angeles Angels. This was a team that was throwing Triple A pitchers into the starting rotation in September. All the way to Game 162, I fully expected the Rangers to take care of business. But they failed, and were forced to play the one game Wild Card game against the Baltimore Orioles, which they subsequently lost. Here was the team that was in my mind, the team most likely to go to the World Series and win it, yet they collapsed in the final two most critical weeks of the season. The Rangers’ loss opens the door for all of the other AL play-off participants to advance to the World Series. I can’t say there is a clear-cut favorite because even the Yankees, with the best record in the conference, have their share of questions. The ALDS series format is odd given the first two games of the series will be held in the inferior team’s ballpark. The Yankees are tied with the O’s late in Game 1 tonight but that always favors the home team with last at-bat. I am not a Bobby Valentine fan, but I really do believe that firing Valentine was the best case scenario for the Boston Red Sox organization. As a fan of an opposing team, I’d love for the dysfunction to continue, but the Red Sox fans deserve better. I subscribe to the adage that ‘to be the best, you have to beat the best’ so I really hope the Red Sox can secure a manager who fits the organization and maximizes the potential and ability of its players. I still think that recently named Phillies third base coach Ryne Sandberg would be an excellent fit, but maybe it is John Farrell despite the disappointing year in Toronto or other manager. It will be interesting to see how this plays out. Melky Cabrera, disappointment is an understatement. I respect the San Francisco Giants for their intention to cut ties with the Melk Man. I really wouldn’t want to be the organization that extends him an olive branch. In other words, I do not want to see Melky back in the Bronx. Ah, October baseball, I love this time of year! I am not quite sure what was reaction was when I heard that San Francisco Giants outfielder Melky Cabrera had been suspended for 50 games due to substance abuse. As a former Yankee, I watched his career as it went through Atlanta and Kansas City before his arrival in the City by the Bay. The year in Atlanta was forgettable, but Melky rebounded in Kansas City and continued his renaissance in San Francisco. The highlight of the year for him was capped with the MVP Award for the All-Star Game. When Melky was a Yankee, he was often in the mix for game-winning hits and the recipient of one of A.J. Burnett’s pies. It was tough to see him go to Atlanta in the ill-fated trade for Javier Vazquez but I had hoped that he would have a chance to thrive outside of Yankee Stadium and the platoon situation he found himself in. Even with his recent success, I still feel that Brett Gardner, when healthy, is a better fit for the Yankees. Nevertheless, I was glad to see that Melky had found major league success as a regular. Well, until the day it was announced that he had been suspended. I lost most if not all respect that day. Melky’s quick acceptance of his suspension only rubbed salt in the wound, and now there’s a report that he staged a bogus website in a botched attempt to mask his guilt. I can gladly say that I am glad that Melky is not a Yankee today. I would not want him on my team and if I was the Giants’ GM Brian Sabean, I’d cut my losses and move on. The last thing the Giants need is a player with the aura of substance abuse, particularly on the heels of former Giants outfielder Barry Bonds. Character should be the first criteria when determining if a player is a good fit for any organization. Yes, athletic ability and talent rank very highly but it means nothing if the player is one of poor character. Speaking of substance abuse, it’s ironic that another former Yankee is again in the news. There were reports that Roger Clemens has signed with an independent team. Seriously? A 50-year-old pitcher trying to make a comeback? The only guy who could make Jamie Moyer look like a teenager? I don’t care if Clemens was acquitted in June. He is one guy that I never want to see wear pinstripes again or ever set foot on Yankee Stadium soil. I have been supportive of current Yankees pitcher Andy Pettitte. There was something very honest about Pettitte’s admission of substance abuse a few years back. Maybe he has all of us fooled. Maybe not. I tend to believe the latter. On the other hand, I don’t believe anything Roger Clemens has to say. Nor do I believe Alex Rodriguez for that matter. I tolerate Rodriguez because he is on the Yankees but I am not a fan of his. I’d like to put Melky in the category of guys that should be forgiven, but he just strikes me as another Clemens or A-Rod at this point. It is incredible that a guy, at this point in time, would risk millions by doing something that is so closely watched. He was on the fast track for failure. I doubt we’ve seen the last of Melky but I hope that he learns something from the time off. I know that the Ichiro in Pinstripes Era is very short-lived and will be expiring at the end of the season, but it was a joy to see him hit two home runs off Josh Beckett in the weekend series against the Red Sox. Although the Yankees only took two of three from the Sox, this is not the same Red Sox squad of years passed. Although Bobby Valentine has gotten a vote of confidence from the Front Office, I don’t see how he makes it past just one season in Boston. It is no secret the Sox covet Toronto Blue Jays manager John Farrell so if there’s a way to pry him from Canada, I am sure that he will be immediately named the next manager of the Sox. It’s only a brief sample, but I really wouldn’t mind seeing Derek Lowe return as the long man in the pen next season. I’ve always admired Lowe’s competitiveness and determination. It’s still a bit weird watching him in pinstripes, but he is a welcome addition. There’s no doubt that I want to see the return of pitcher Hiroki Kuroda. He’s been even better than I had anticipated. I always wondered why Dodger fans were so endeared to him as I had viewed him as a middle of the road starter. But, wow, I was wrong! I totally get why he meant so much to Dodger fans. The team would be lost without Kuroda, particularly after the DL stints of most notably CC Sabathia and Andy Pettitte. It’s hard to believe that September is right around the corner. I guess we will soon be inundated with magic numbers. There is only one number I am concerned about…#28. Let’s go, Yankees! Back when the Yankees were struggling, I knew in the back of my mind that it wasn’t anything that a 10-game winning streak couldn’t fix. Well, the Yankees have done just that with tonight’s victory over the Atlanta Braves. Just like last year, interleague play has proven to be the Yankees’ friend. Although the team hadn’t enjoyed a 10-game winning streak for a few seasons, they did rise up to the challenge of interleague play last year and this year, well, they’ve been nearly invincible. Not bad for a team with questions throughout the starting rotation and perhaps its most valuable pitcher (Mariano Rivera) lost for the season. Improved starting pitching from #2 through #5 has been the key. Of course, the resurgence of former retiree Andy Pettitte has been crucial, but Hiroki Kuroda, Phil Hughes and Ivan Nova have all been raised the level of their play. This sure beats last year when you could count on an implosion every fifth start by A.J. Burnett. To Burnett’s defense, he has been very good for the Pittsburgh Pirates, proving that some guys are better served away from baseball’s main stage. There was never any doubt about Burnett’s arm so he just needed a place to get his head straight. But I digress. I prefer Hiroki Kuroda over Burnett, even though Kuroda has had a few clunkers of his own. Kuroda has always mixed in a few stellar starts and seems to finally be getting a grasp of life in the American League East. Why can’t every trade work out as nicely as the one that brought Curtis Granderson to New York? After a slow start in the Bronx during his first year, Grandy has been nothing short of a superstar since. Time and again, he is getting a key hit and propelling his team to victory. The price of the trade was high, and the players going the other direction have fared nicely in their new surroundings, but the trade was worth it. With this being Nick Swisher’s walk year, it is assumed that he’ll move on after the season but I really hope that the Yankees find a way to bring his excitement and energy back to the Bronx next season. With the Los Angeles Dodgers’ re-signing of potential free agent Andre Ethier, the free agent market won’t yield anyone of Swisher’s caliber. Sure, you can have Vernon Wells or Alfonso Soriano for a bag of peanuts and a boatload of cash, but I’d rather take Swish. So, Roger Clemens has been found not guilty. Good for him. Do I want to remember his Yankees legacy now that he is a free man? Sorry, where there’s smoke, there’s fire. Let Clemens be remembered as a Red Sock, Blue Jay, or Astro. I really don’t want to see Clemens at any future Old Timer’s games at Yankee Stadium unless he is buying a ticket. If the Yankees are players at the trading deadline, I am not sure that they’ll focus on. An outfielder given the slow return of Brett Gardner? Another starting pitcher? But if so, who do you move out of the rotation? Last year, I was surprised when the team stood pat but this year, they probably don’t have any choice. I think any moves will only be secondary in nature, such as another bullpen arm or some other auxiliary type of player.